Textures are in PNG format and extracted from Base Game. 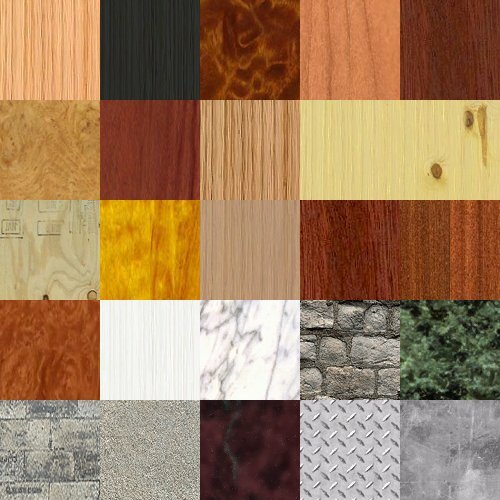 Includes Wood, Metal, Stone, Water, Soil, and others. 50 in all. Will add textures from other expansions as I extract them. The other files in this folder contain all the bits and pieces that make up sims and objects. Objects06 - Objects09.package have the TXTR images and the LIF0 images that make up every object in the game - both recolourable buyable and not. Objects01 - Objects05 have the other bits that make up the objects - CRES, GMND, etc. ooh so useful, thank you Kiri. Thank you Kiri - very useful indeed. I saw what you did there Lee - Thanks!! Yea, its experimental - testing out the new multiupload feature. Sorry for using your thread as a guinea pig, but it was just perfect.